On June 13th, UNESCO Paris will be hosting the 2nd international albinism awareness day and Patricia Willcoq’s new exibition. In a few days, albinism charity Under The Same Sun (UTSS) will host a Pan Africa Albinism Conference that will center on increasing awareness towards the difficulties PWA (people with albinism) are facing, and a better understanding towards their condition. The conference will be offered in three languages, English French, and Kiswahili, in order to reach as many people as possible. Many organizations will show their support by participating, including international organizations and PWA groups — and the Gertler Family Foundation (GFF) will also be taking part in the conference, represented by its Communication Manager, Mamie Kabongolo. 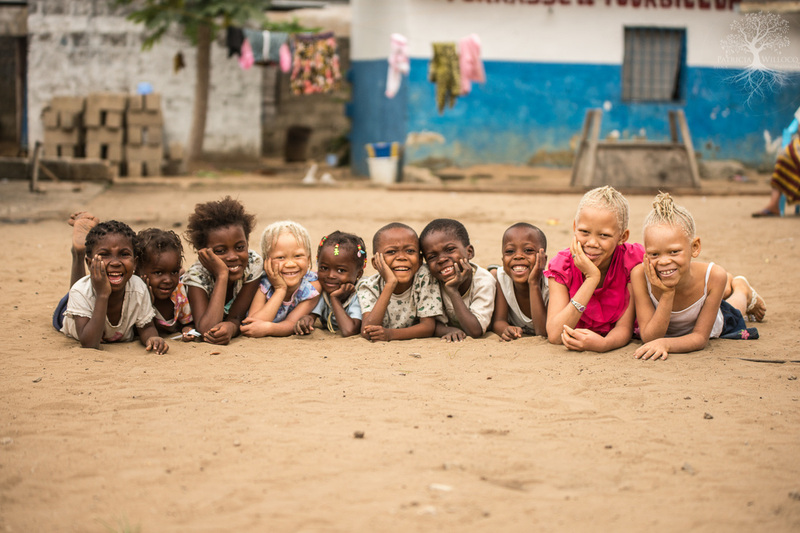 UTSS is a global organization dedicated to improving the wellbeing of people suffering from albinism, with an emphasis on the Tanzanian community. PWA often suffer from unjust discrimination and intolerance that can result in violence and even death. The UTSS hopes to relieve their sufferings by way of educating the public on albinism through peaceful advocacy, such as the first Pan Africa conference, which they will host on November 19-22. The GFF has been actively supporting people suffering from albinism, specifically in the Democratic Republic of Congo (DRC). Notably, the “White Ebony” project, which GFF sponsors, focuses on increasing awareness and providing support to PWA. Additionally, the organization is helping 20 albino children in the DRC achieve education from primary school to university, by addressing their daily needs. GFF Communication Manager Mamie Kabongolo will take an active part in the upcoming conference, in a joint effort to promote a more understanding, respectful treatment of PWA. At the 2015 Vodacom ‘Best of the Best’ show, a young man with albinism made a great impression. Muyoli Christian from Bandundu in the Democratic Republic of the Congo (DRC) gave a sterling performance, that ended with a standing ovation by both the audience and the judges. Muyoli Christian was born in the capital of the DRC, Kinshasa. His father Jean-Pierre Beteya and mother Mamie Kondo were simple folk and parents to four children, of which Muyoli was the eldest. The family was not well off financially and because of this the young man could not complete his high-school education. Muyoli was not only born into poverty, he was also born with albinism — a congenital disorder distinguished by the absence of skin and/or hair pigment in the person. People with albinism suffer from health conditions and are also widely discriminated against. Despite having a very challenging start in life, the young performer’s spirits were not dampened. Since he was a very young boy Muyoli loved to sing at every opportunity. When he was around eight years old, the songster amazed his congregation with his beautiful singing voice. Once Muyoli was in his teens, he became part of a successful local band. The next step on his journey to becoming a star was to perform in front of a bigger audience. The Vodacom Best of the Best competition was the perfect opportunity to achieve this goal. The young performer concluded a triumphant performance with a humble bow in front of a highly excited audience. Audience and judges alike were overwhelmed with Muyoli’s passionate, yet simple routine and his poignant voice. This combination landed young Muyoli Christian third place in the highly competitive competition, a well deserved recognition to his talent. 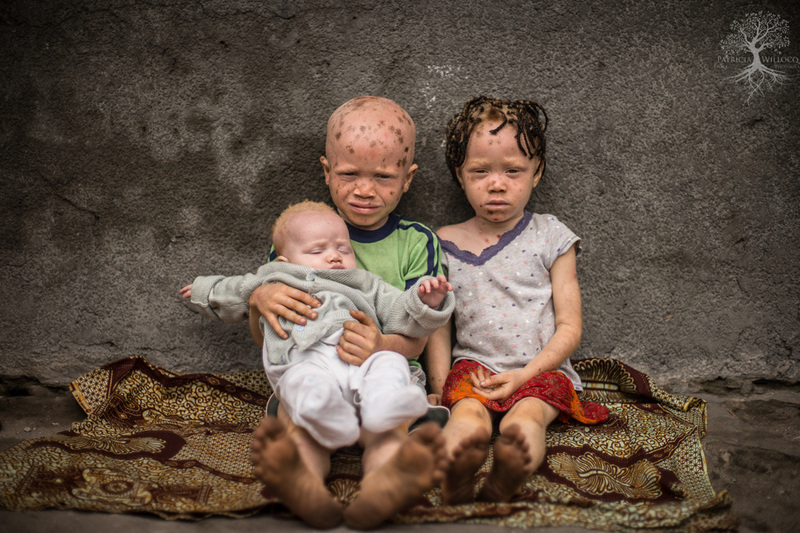 The plight of people with albinism in Africa is well documented, with hardship and discrimination at its core. Sadly those with the condition are at risk of alienation, prejudice and ritualistic killings due to superstitious beliefs and poor education of the communities in which they live. 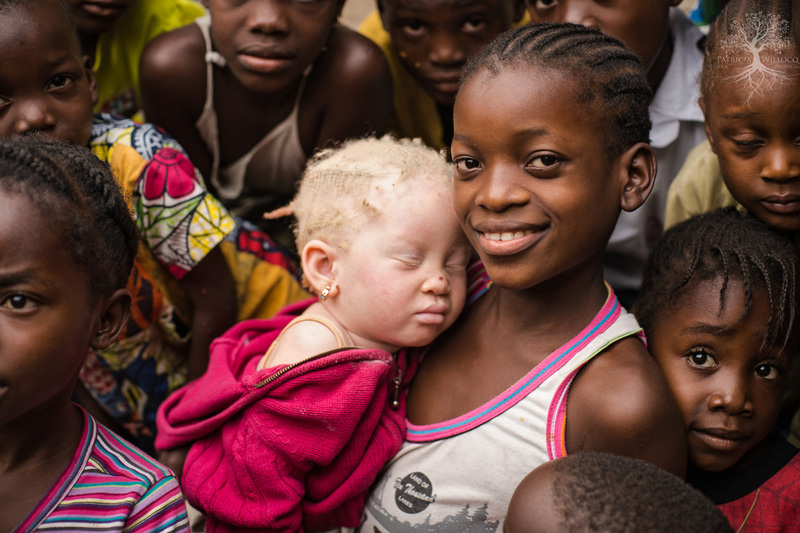 For people with albinism in the Democratic Republic Congo (DRC) conditions are improving, albeit slowly. Special interest groups and individuals are joining the cause to raise the profile of these marginalized people and to enrich their lives. The “White Ebony” (Blanc Ebene) project was created in 1998 to help people with albinism in the DRC. Founded by the famous Congolese wrestler Mwimba Makiese Alphonse Texas, this project is a shining light for Congolese albinos. The profile of the project was raised considerably by the work of the famous Belgian photographer Patricia Willocq, and with the financial backing of organizations like the Gertler Family Foundation (GFF). What initially started as a fascination for Wilcoq has now translated into a passion. Her photographic series “White Ebony” received an honorable mention at the Unicef Photo of the Year Awards, and has been exhibited and published worldwide. * “White Ebony: A Vision for All” aims to increase equality for school children with albinism suffering from poor eyesight and neglect at school. Already 150 children have had their eyes screened and many provided grants to attend school. * “White Ebony: Raise up Albino Women” aims to help albino women through development of their professional skills, empowering them to earn money, live a better life and provide for their family. It’s an exciting project that has captured widespread public attention. 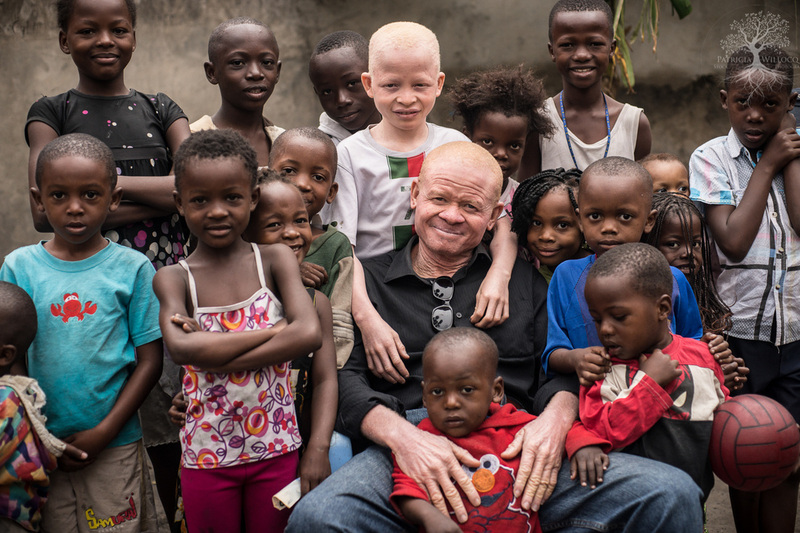 The hope is that through the continued efforts of people like Mwimba Texas, Patricia Wilcoq and the Gertler Family Foundation, White Ebony will continue to enrich the lives of people with albinism in the DRC. In Africa, the life for people with albinism (PWA) has become a terrifying prospect in many countries. Particularly in East African nations, such as Tanzania and Burundi, sad misconceptions and superstitious beliefs propagated by witch doctors and an uneducated population has led to widespread persecution. Regular killings or mutilations are occurring based on superstitions about bad luck that these people bring or mythical powers they have. In the DRC attitudes are changing though. Thanks to the work of NGOs and a range of special interest groups and individuals, people with albinism are being widely integrated into society and accepted rather than persecuted. 1 out of every 4000 Africans is born with albinism so the effect of this cultural shift in the DRC has been huge for families. Persecution towards albinism has taken many forms in the past. Aside from killings, the most common and damaging effects have been isolation, a miseducated public, children dropping out of school early, and skin cancer. Mwimba Texas has become an icon for people with albinism in the DRC. Sport is often a powerful tool in breaking down barriers and, as a wrestler with albinism, Texas is changing the perception of the condition in his native country. He speaks from the heart about albinism, and is helping to raise awareness about the issues associated with it by reaching out to the community through his sport. Some of the greatest threats to people with albinism are the simplest: skin cancer and barriers to education. 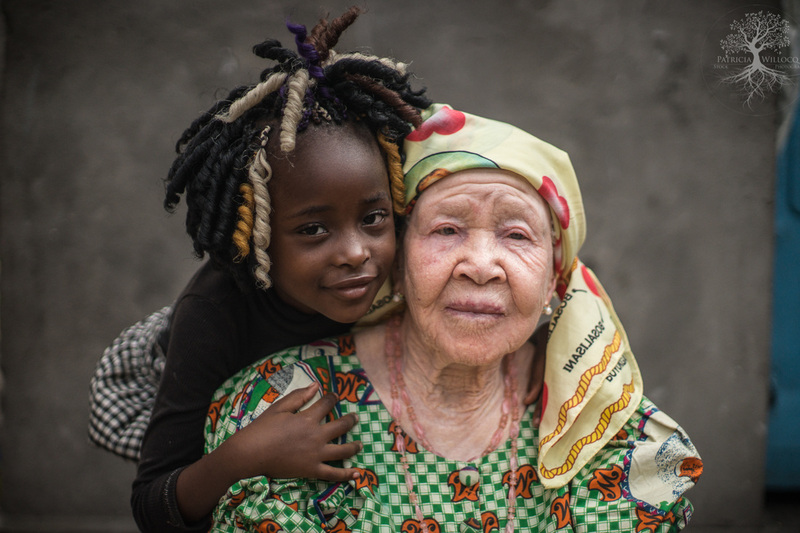 Although change is slow, the DRC is leading the way in educating the public through community initiatives, teaching families how to prevent skin cancer and increasing access to essential services to treat poor vision. The flow on effects to the classroom are important. Children with albinism need to sit at the front of the class and be included, not ostracized. These changes are not things that can happen overnight, however through the concentrated efforts of a few, the seeds of change have now been sewn in the DRC. We just need to wait for the fruits to grow.